Submersible pump ready to go. We are the Mount Lawley water bore experts in this beautiful garden suburb. New bores or prompt bore repairs give us a call on 9246 0111. The surface geology encountered when drilling in Mt Lawley and surrounding suburbs such as Coolbinia, Highgate, Nth Perth and Mt Yokine is generally indicated by the Perth Groundwater Atlas as “Tamala Limestone: Aeolian calcarenite, variably lithified, leached quartz sand” making bores both relatively easy to drill, productive in water yield and consequently quite affordable. There are local area exceptions and because of our local expertise Virgin Bores can advise. The depth to water in much of Mt Lawley is generally reasonably moderate at 20 metres or thereabouts making the depth of the required borehole less than some more hilly and elevated Perth suburbs. 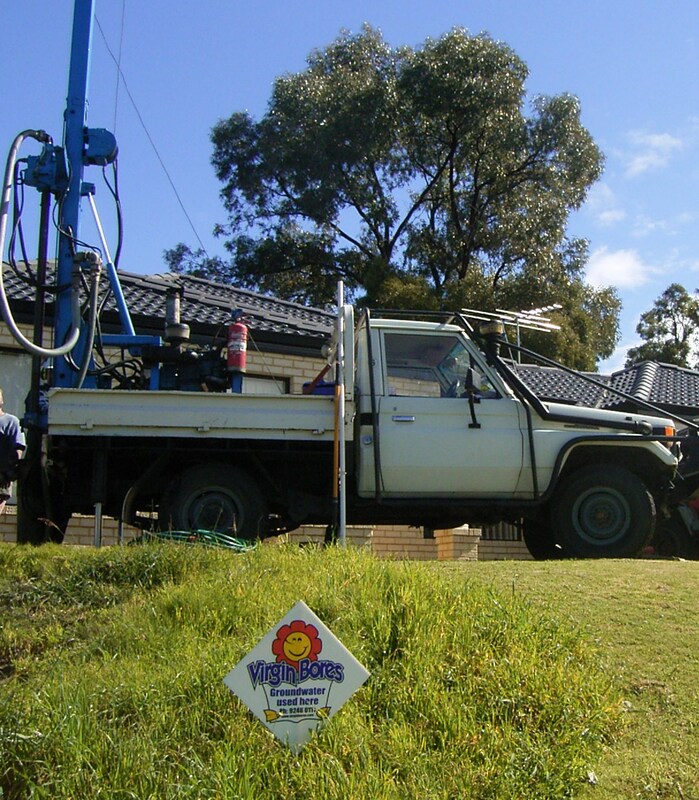 By accessing the online Perth Groundwater Atlas and our own database of nearby bores we have drilled q we can predict quite accurately the depth to water at any house in Mt Lawley. We have learnt from Landgate that at the at the beginning of the twentieth century “Mount Lawley estate was purchased by Messrs Samuel W Copley and R T Robinson, who set out with the object of making this an attractive suburb, with the right type of home, and with every possible encouragement given to householders to create a garden suburb”. Well Copley and Robinson certainly achieved their aim. The larger blocks and the beautiful gardens require substantial water so the pay-back period on a water bore is quite attractive. Installing a garden bore to tap Perth’s plentiful superficial aquifer makes good sense. 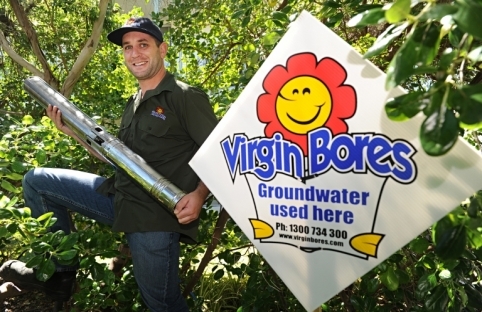 As well as saving money in mains water consumption costs, bore owners help conserve Perth’s limited potable water supply. Bore water in Mt Lawley, Coolbinia, Menora and surrounds is normally of good quality, low salinity (often 500 to 1000 ppm) and ideal for gardens. A stainless steel submersible pump is installed invisibly beneath the garden in what is called a submersible water bore. Mt Lawley bores are commonly drilled to approximately 32metres but depth varies according to elevation. The depth to water for any proposed Mt Lawley water bore is indicated in the Perth Groundwater Atlas. Mt Lawley water bores are most likely drilled 10 to 12 metres past the start of water or the superficial aquifer. Local knowledge however is invaluable when drilling a water bore in Mt Lawley, Coolbinia up to Yokine and across to North Perth as the surface geology varies considerably. We will assess your requirements and design a bore specifically to suit your needs and the available groundwater. Our bulk buying and economies of scale assure you of the best value and most competitive price on your new Mt Lawley water bore. A modern submersible pump is usually connected to a home’s existing reticulation sprinkler system. With a modern bore there is nothing visible at the surface as everything, including the pump, is contained in a 100mm PVC sleeve (correctly termed bore-casing) well out of sight beneath the garden or lawn. Our experienced team is expert at repair and service of existing Mount Lawley water bores. In this garden suburb there are a number of the old “well” style water bores. They have tin “witches hat” lids containing centrifugal pumps that can require regular maintenance. 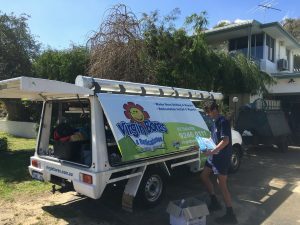 Virgin Water Bores Mt Lawley bore service team have the local knowledge and experience in fixing all types of bore pumps both centrifugal and submersible. 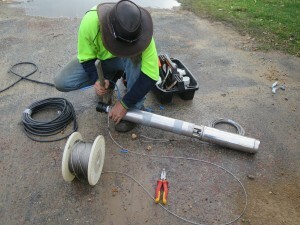 We fix anything to do with bores, pumps, irrigation or reticulation sprinkler systems. These repairs may be claimable on your home insurance. Virgin Bore cans advise. Please call one of our team on on 9246 0111 and we will attend to any service, maintenance or pump requirement for your Mt Lawley water bore.